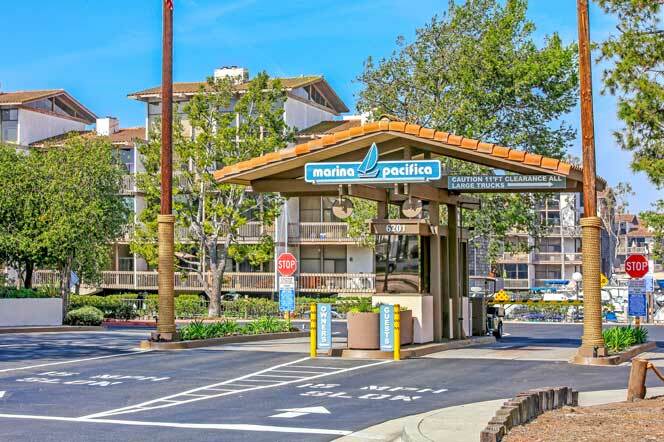 The Marina Pacifica is a waterfront condo complex that offers a 24 hour guard gate with 6 community pools and spas, 3 lagoon style koi ponds, community fitness room, clubhouse and banquet facility. Located next to Naples Island and the Marina Pacifica Mall is a very nice condo complex known for it's waters views. Please view the available units for sale and let us know If we can help you. The complex is tied in with the boat Marina making this a true waterfront community. Select condos will have views of the Marina while other units will have views of the pools and streams that go through the community. Some of the features of these condos include wrap around decks, vaulted ceilings and large picture windows that overlook the view. There is always a large inventory of condos to choose from with prices starting in the mid $300,000 range.